Studio Wildcard continue their relentless assault on the brave explorers of ARK: Survival Evolved as today they released an exciting pair of new additions to the impressive bestiary of enemies. Players can now encounter two new types of creatures in ARK: Survival Evolved, a prehistoric penguin and an angler fish, Melanocetus Anglerpescum. Some players are sure to recognize the alien-like fish thanks to hits bioluminescent light pods that are used to attract smaller prey. Thankfully this bright approach to devouring small fish works in explorers’ favor as it makes the Melanocetus much easier to spot in the dark depths of oceans and waters in ARK: Survival Evolved. 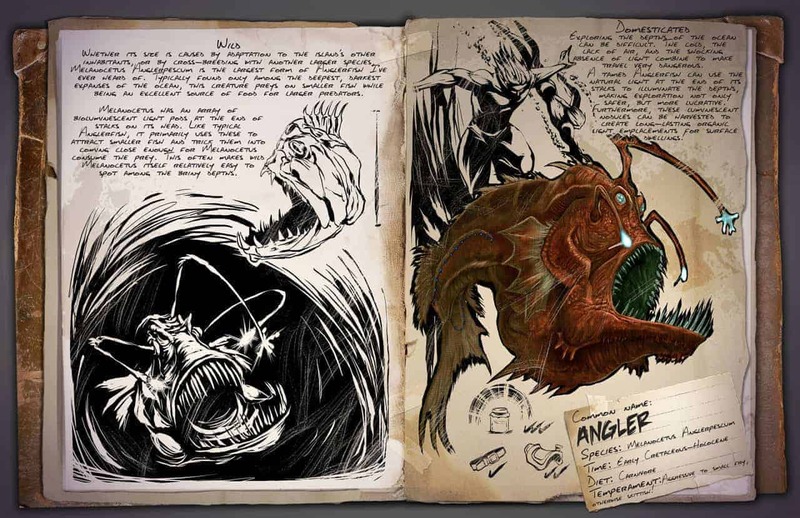 Players can expect a much larger-than-life angler fish, and one worthy of the time it takes to tame as the bright lights make for underwater exploration easier and more rewarding. If you’re not in the taming mood you can also harvest the pods to provide a long-lasting fuel source for your home.